"To achieve market leadership with customer satisfaction by providing innovative, cost effective, and high quality product in domestic and international market with strong after-sale services." Welcome to A Innovative International Ltd. 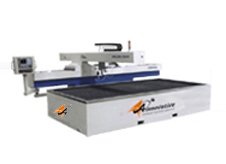 They can be used for cutting of many types of materials with a great accuracy which reduces the secondary finishing cost. Moreover, close linking with CAD/CAM programming system lessens the difficulty of the work. Apart from providing these path breaking products, the company believes in offering unprecedented after sales services to the customers with a goal of maintaining long term and mutually beneficial relationships. The company boasts of a dedicated “skilled after sale servicing team” for maintaining the quality of the services, apart from the highly skilled marketing team. 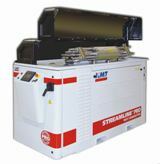 With the goal of becoming the father of the water jet industry, the company has adopted the innovative strategic blend of high quality and low cost, which has always aided the company in garnering loyal and long term customers across the world. The strong base of the technological advancement has strengthened the company to keep on providing such products and services to the customers all across the world at competitive costs.